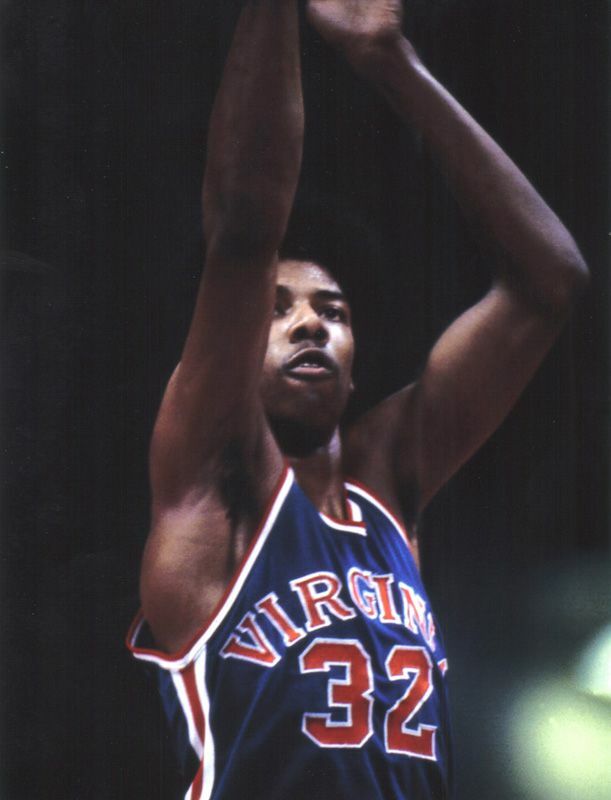 Erving began his professional career in the American Basketball Association with the Virginia Squires and the New York Nets. Widely regarded as the greatest player of his time, he is often considered to have been the main catalyst for the ABA-NBA merger in 1976. A 6-7, 210-pound small forward, he also played for 11 years with the Philadelphia 76ers, leading them to the NBA crown in 1983. 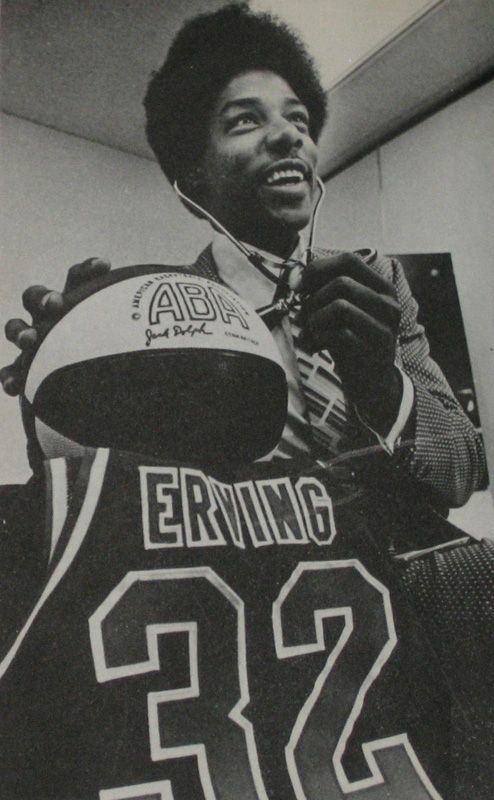 In his five ABA seasons, Erving won three scoring titles, three Most Valuable Player Awards and two league championships. During his 11-year NBA career Erving was an All-Star each season, the league's Most Valuable Player in 1981 and a five-time member of the All-NBA First Team. He scored 30,026 points in his combined ABA and NBA career. This blue style jersey was a one year style. We have never seen a common before this, let alone a Dr. J. Notes: This jersey is perfect in every way. On the inside back right tail is the "PEARSON" manufacturers tag. Next to this is the wash instructions tag. Adjacent is the “42L -32- 72” chain stitched felt strip tag. Across the front is "VIRGINIA." 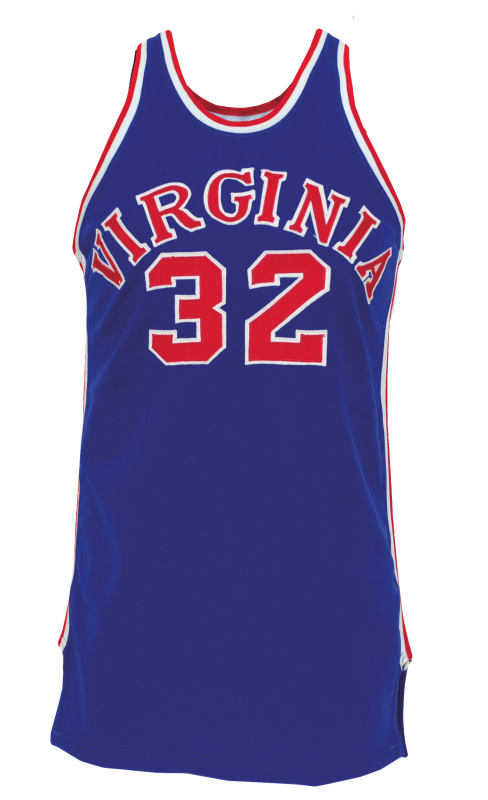 Below that and on the back is the player number "32." 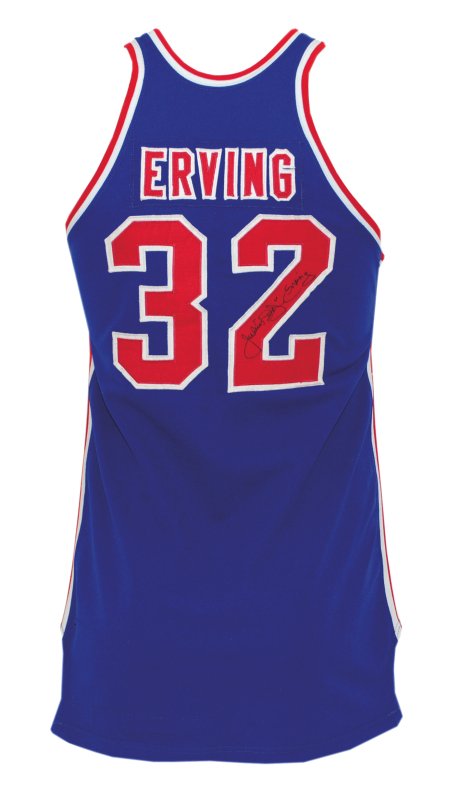 Across the back is the player name "ERVING" on a blue nameplate. All lettering is done in red on white tackle twill. Autographed on the back number in black marker and rates a 9. The jersey shows great game-use and appears to have no alterations of any kind. Acquired through a family friend of the equipment manager with a letter stating this. The autograph is accompanied by a LOA from JSA.